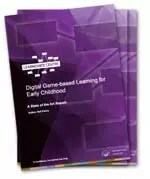 Posted on June 23, 2013, in Uncategorized and tagged Child, coordinated motor skills, differentiating relationships, Early childhood, Early Childhood Education, Education, findings, Games and Learning, learning, mathematical development, memory enhancement, phonological awareness, scientific study, Video game. Bookmark the permalink. Leave a comment.